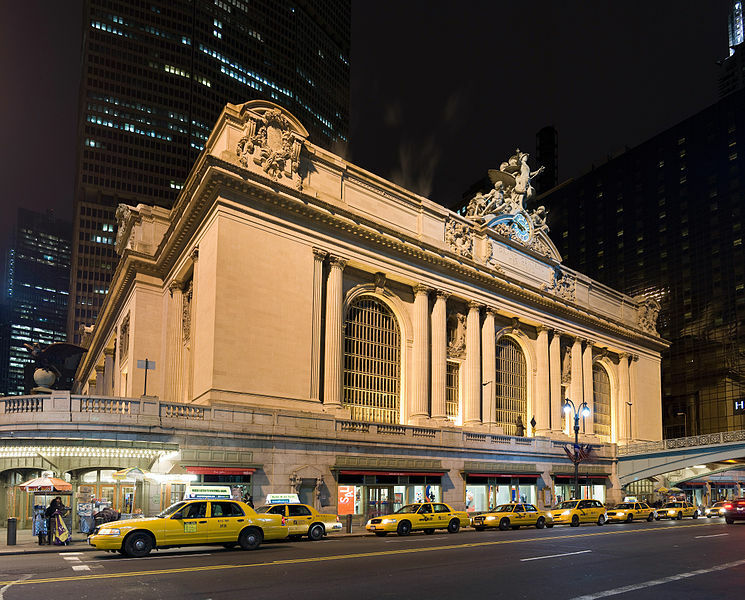 "One hundred years ago, on Feb. 2, 1913, the doors to Grand Central Terminal officially opened to the public, after 10 years of construction and at a cost of more than $2 billion in today’s dollars. The terminal was a product of local politics, bold architecture, brutal flexing of corporate muscle and visionary engineering. 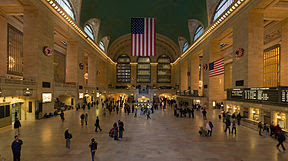 No other building embodies New York’s ascent as vividly as Grand Central. 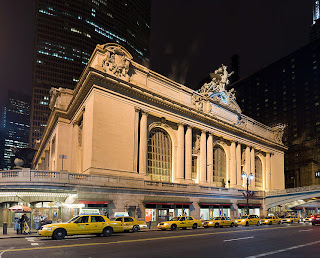 Here, the tale of its birth, excerpted from “Grand Central: How a Train Station Transformed America,” by Sam Roberts, the urban affairs correspondent for The New York Times, to be published later this month by Grand Central Publishing." As quoted in the introduction of Sam Roberts' historical account of this majestic emblem of New York City in the January 18 New York Times (read it HERE). Surrounded by so many historic buildings in our own Duluth, I'm always drawn to those beautiful old buildings that capture the essence of their times. My recent New York City trip right before Christmas gave me the opportunity to see the grandest old building of them all, Grand Central Station in Midtown Manhattan. Grand Central is truly something to behold. This major transportation hub of NYC turns 100 on February 2nd and I feel privileged to have spent some time there to see it in its restored glory. Our hotel during our NY visit was not too far away and we often used Grand Central to hitch a subway ride to destinations, to eat in the vintage Oyster Bar and to walk around and gawk at the famous clock, the skylit ceiling and other architectural wonders. If you click onto the Times link to read the story, check out the link to view the video (The Secrets of Grand Central) of Sam Roberts' tour of the building. That video demonstrates a corner located in the lower level where someone talking in a whisper in one corner can be heard by others some 30-40 feet away in the opposite corner. At the guidance of a native New Yorker friend who dined with us, we were able to prove that this is indeed a fact... the walls can talk! I remember another such phenomenon in the halls of the US Congress witnessed during a Washington DC vacation years ago. Grand Central, as so many buildings of old, was set to be demolished but thankfully saved by a dedicated preservation committee spearheaded by Jacqueline Kennedy Onassis. Today this restored and timeless beauty is a hub of activity for New York by serving as a transportation hub with restaurants, the big Apple Store and other shops and so much more. It sure was worth the save and well worth putting on a sight seeing stop for any out of town visitor. Happy 100th birthday, Grand Central!